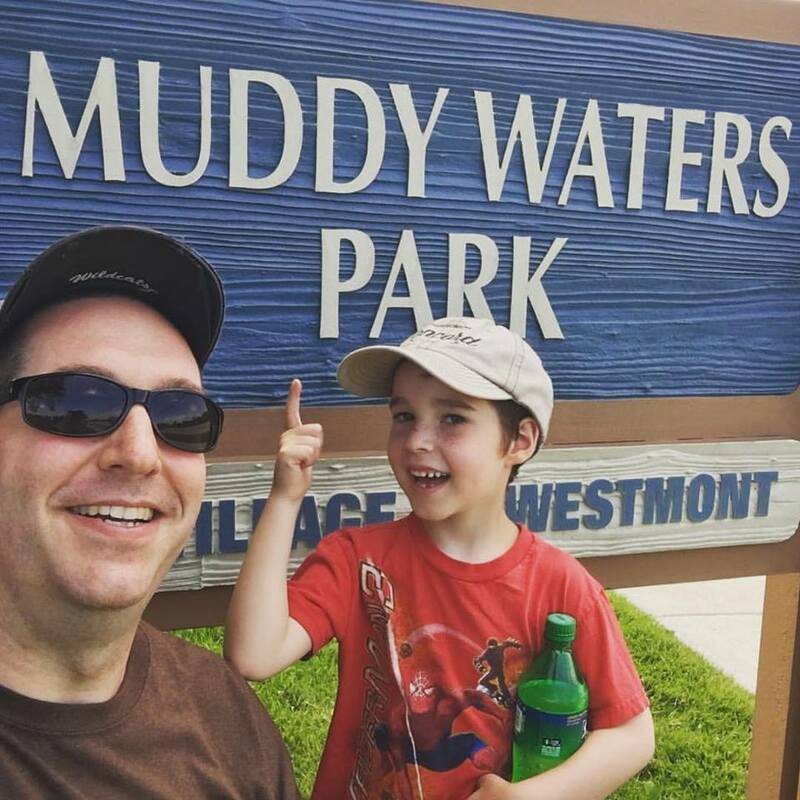 My oldest kid and I got our mojo working at Muddy Waters Park, Westmont, IL, July 2016. 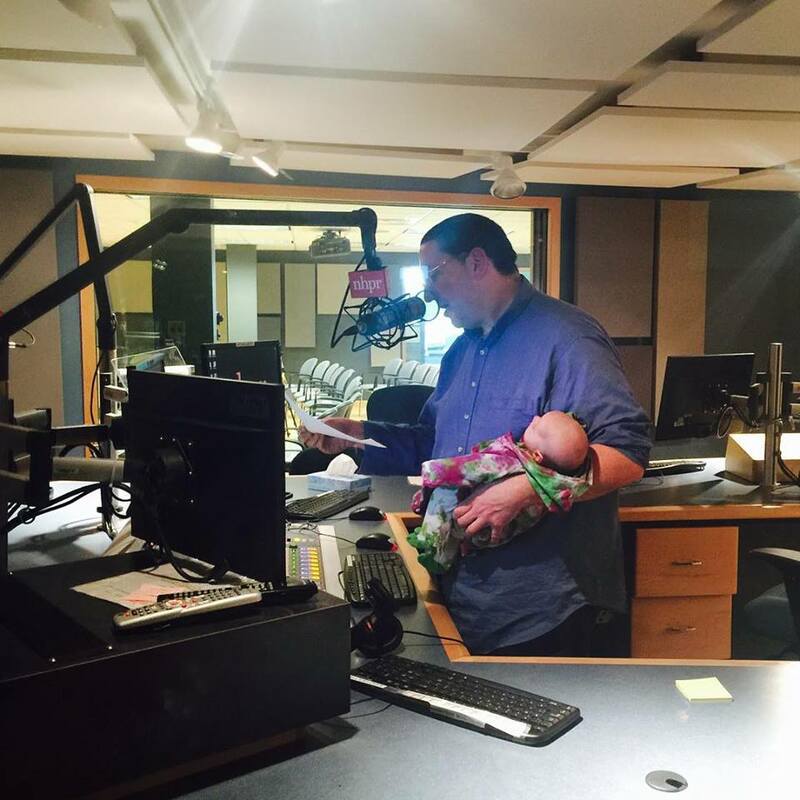 You can record a podcast while rocking your newborn baby to sleep. 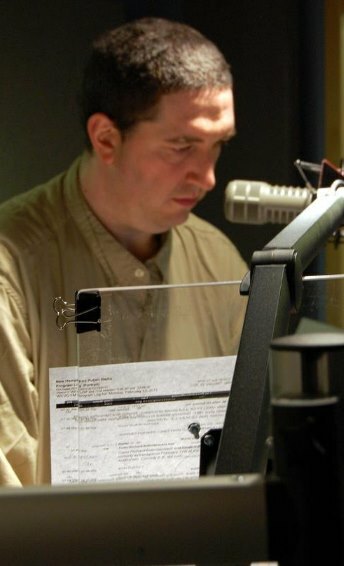 January 2016. 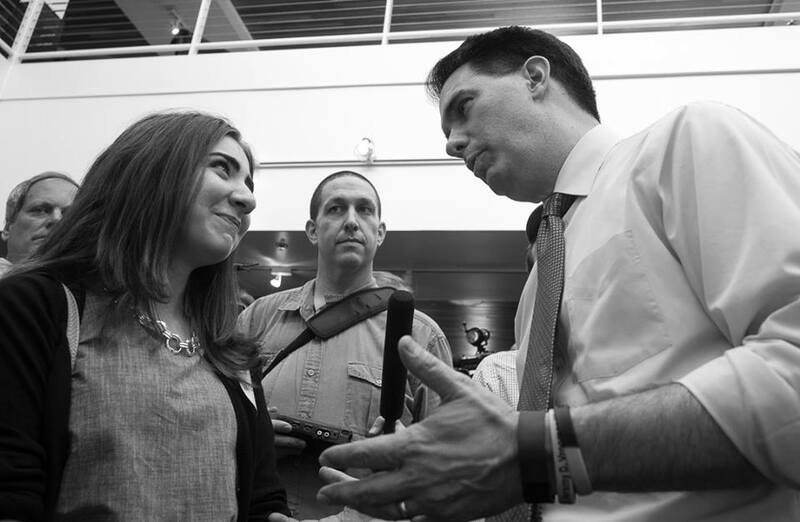 Considering all things for the people of New Hampshire, November 2014. 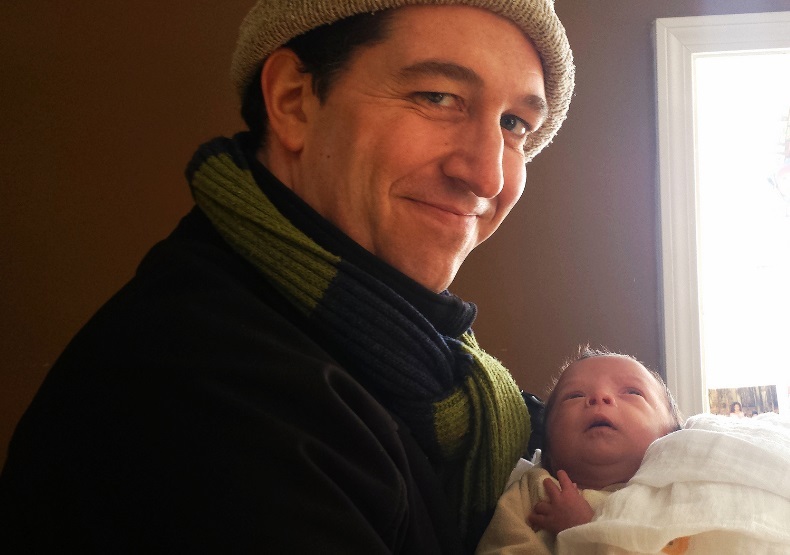 Holding my middle kid for the first time, February 2015. 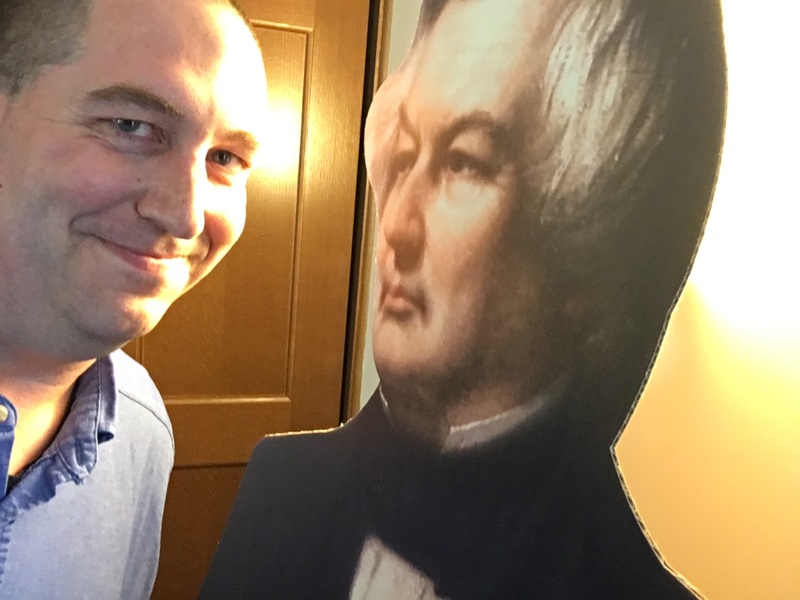 Just hanging out with a cardboard Millard Fillmore. Buffalo, NY, summer 2017. 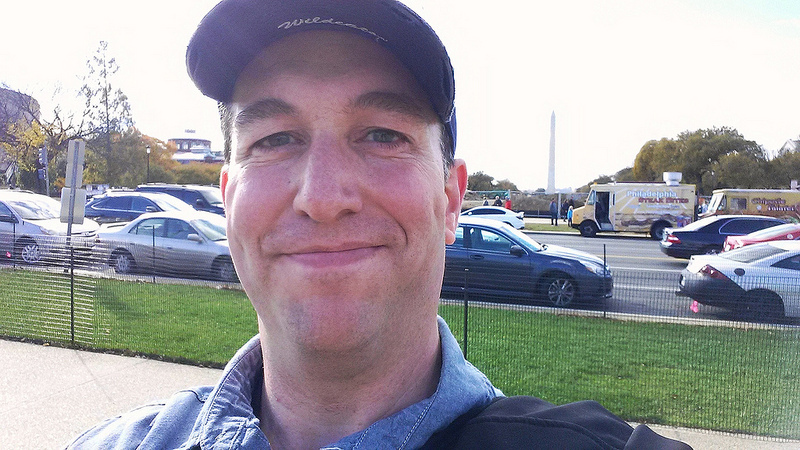 Hanging with the Washington Monument, November 2015. 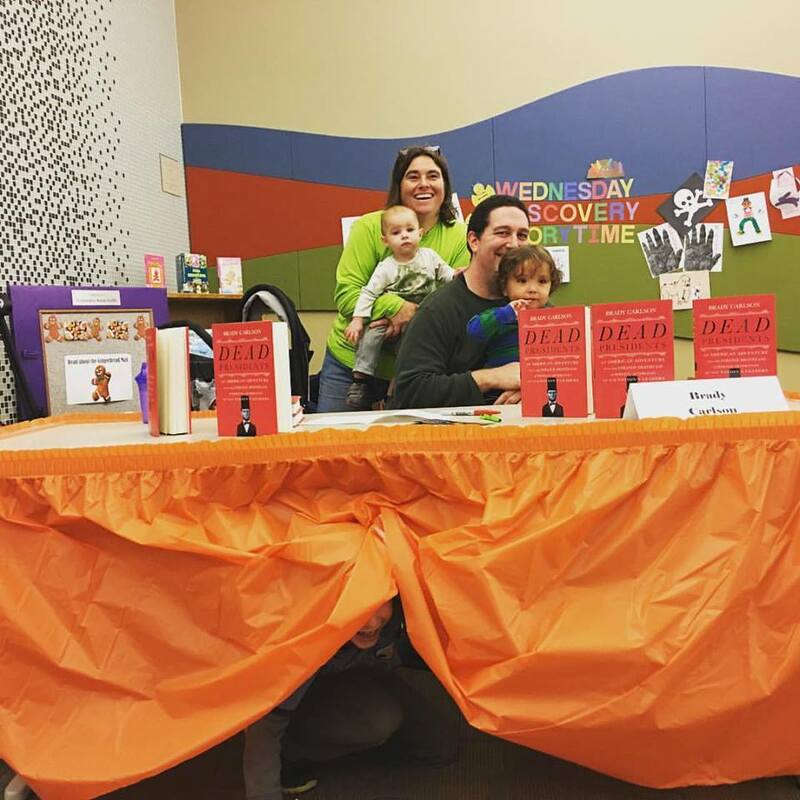 All five Carlsons (one is under the table) at an author event in Beloit, Wisconsin, December 2017. 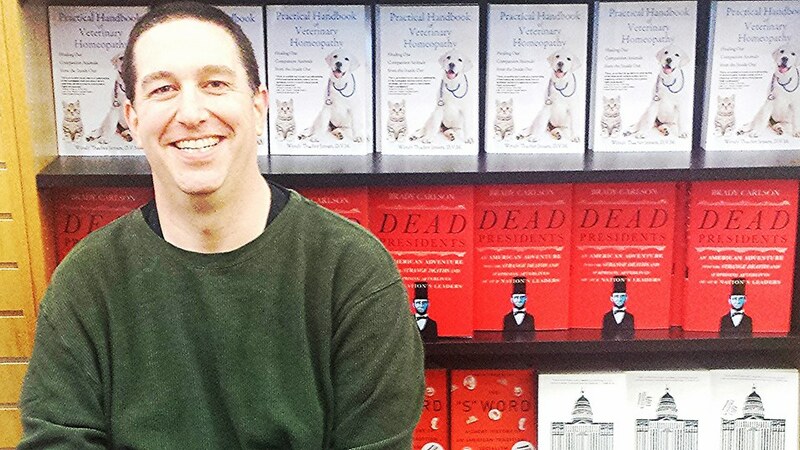 Release day for DEAD PRESIDENTS at Gibson’s Bookstore, Concord, NH, February 2016. 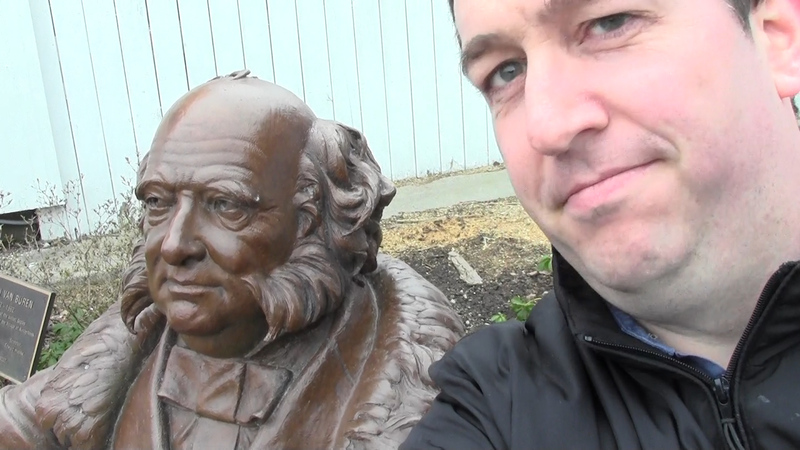 Why won’t Martin Van Buren answer any of my questions? Kinderhook, New York, June 2015. 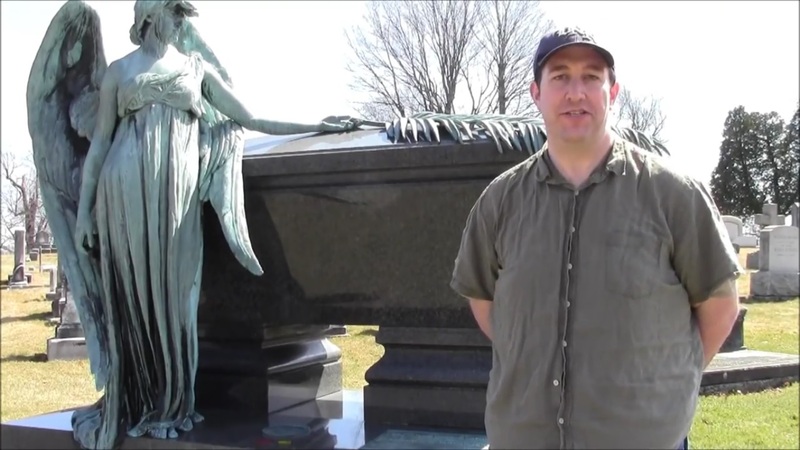 Hello Gerald Ford! Grand Rapids, Michigan, November 2012. 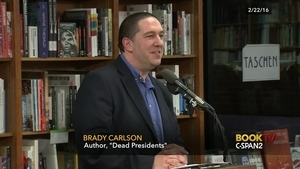 Talking DEAD PRESIDENTS on C-SPAN’s Book TV from DC bookstore Politics and Prose, February 2016. 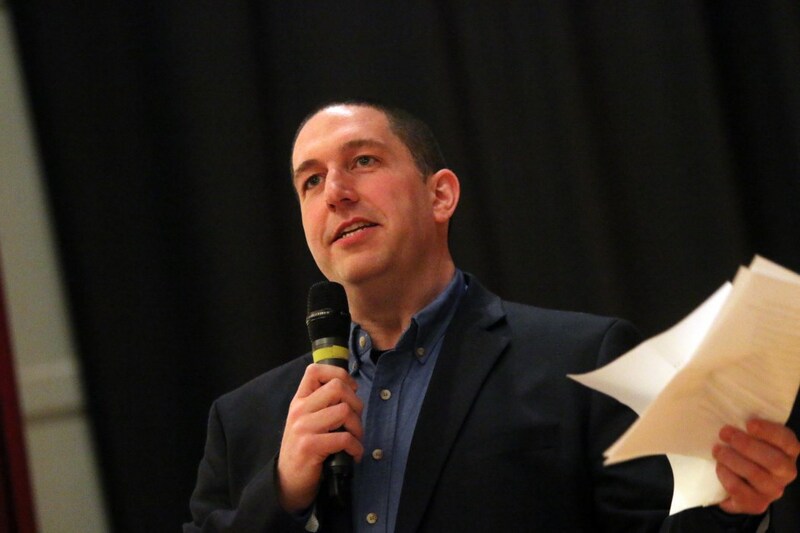 Onstage in Manchester, New Hampshire, April 2015.